Thread: Are Most Women Straight? Okay, that made me laugh! Reported from another thread where equally outrageous claims are made. 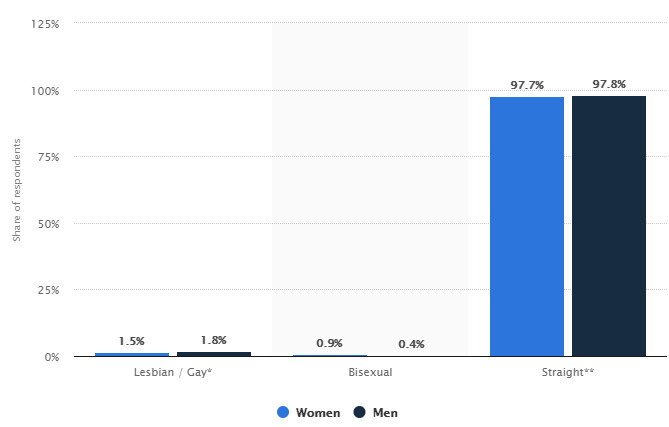 THERE AREN'T AS MANY GAY PEOPLE AS YOU THINK and Americans Greatly Overestimate Percent Gay, Lesbian in U.S. explain the overestimation as in part the result of politicization. As a community service I volunteer to try to turn any half way decent looking woman who is has any questions as to if she is straight. The sad thing is that feminist view of women, while it blames men, makes women look weak and manipulable. That's my problem - they are tough, strong, and independent - until things get a little difficult. Then it's all because of men. Which kinda nerfs the whole tough, strong... etc line. Pick a lane I say.